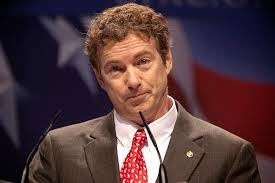 Sen. Rand Paul (R-Ky.), a potential 2016 presidential contender, declined to support tea party critics of Mississippi Sen. Thad Cochran’s efforts to mobilize non-GOP voters to win the Republican nomination. “I’m for more people voting, not less people voting,” Paul told reporters Wednesday. Paul, an original tea party icon for his 2010 GOP primary win over the establishment, has worked assiduously the past year on broadening his party’s appeal to minority voters, including negotiating with Democrats on efforts to rewrite the Voting Rights Act. Cochran’s vote total grew by almost 40,000 votes from the initial June 3 primary to Tuesday’s runoff against state Sen. Chris McDaniel (R). Much of that growth has been credited to courting independent and Democratic voters on the state’s Gulf Coast, where shipyard work has been supported by Cochran for decades, and also an aggressive effort to turn out black voters. In Mississippi all voters can cast ballots in one party’s primary. Paul noted that one of his sons spent time at summer camp working on a proposal that would open up Kentucky’s closed primary system to independent voters. “I’m for more people voting,” Paul said.